Made of durable plastic with a latch, seals well and easy to get open, but doesn't pop open on its own and spill in your bag. It is well protect pill from damp,dust. 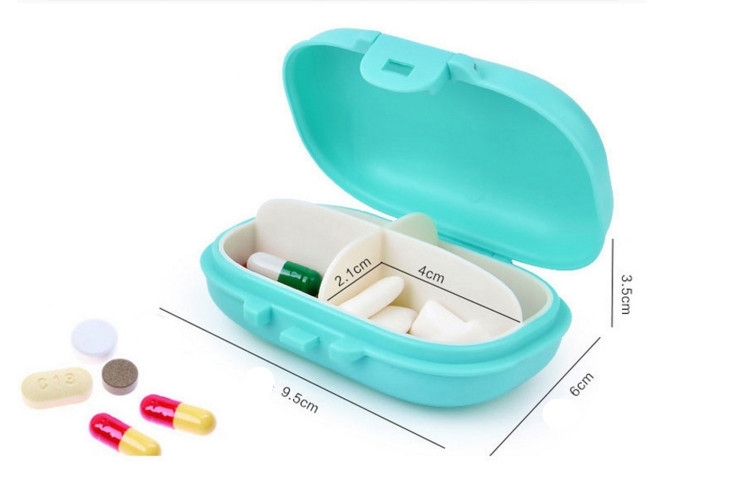 Our pill organizer is a distinctive medicine planner with 4 compartments that allows you to store your everyday pills in batches, but separately at the same time. It is a good reminder to take medicine in time. Logo can be printed with pad printing.